318 pages | 25 B/W Illus. The core areas of undergraduate study are covered in a logical sequence of learning activities: the same questions are asked of each clinical case, followed by detailed explanatory answers. OSCE counselling cases, with related questions and answers, also feature in each section. Janesh K. Gupta,MSc, MD, FRCOG, professor in obstetrics and gynaecology, University of Birmingham, Birmingham Women’s Hospital, UK. 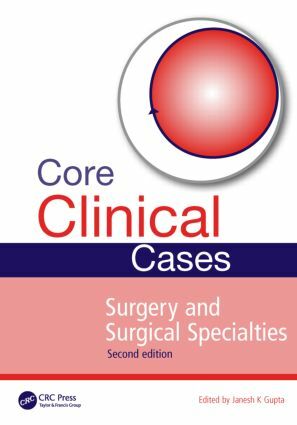 He is also Series Editor for the Core Clinical Cases Series.